A new Workers Union not affiliated to a Political Party is indeed new for Seychelles. Workers are not assembled based on a political colour, but instead, more as the backbone of the islands. They are Seychellois first and should earn the respect for their work. The Government of the day will be encouraged to hear the pleas of the working population, and the Opposition in the National Assembly will be invited to table Private Members Bills to support the aspirations, dreams and ambitions of all who are working for the continued successes of Seychelles, as they have successfully done for the Offshore Financial Sector. The Union will see itself standing with all who are working, and this includes the salaried employees as well as the self-employed businessmen and women of the islands. At the end of the day, everyone who is working and are therefore workers, need a politically independent body to be by their sides. Recognise, Respect and Remunerate them for their respective efforts, equals a Responsible and productive workforce, will now guide Seychelles. Fisheries worldwide are in a state of crisis and the protection of spawning aggregations has become a global conservation issue. Many of the world’s most productive fisheries are operating in less than optimal conditions, with certain stocks having already collapsed. Some fisheries specifically target spawning aggregations which can in extreme cases, lead to the disappearance or effective reproductive failure of aggregating populations. It is thus imperative that good fisheries management are put into place to ensure the sustainability of global fisheries. The coveted experience of fishing in the outer islands of Seychelles has often been described by many as “out of this world”, with large specimens of groupers, snappers and emperors being commonly sought after by avid fishermen. Science has shown that many of these fish species are slow-growing and late-maturing, rendering their stocks easily prone to overfishing. With key species in the demersal fishery on the Mahé Plateau now considered to be over-exploited, many local fishing vessels are venturing further away from the Mahé to the outer islands in search of a decent catch. This, in addition to the increasing presence of foreign-flagged vessels fishing illegally in Seychelles, may surmount to catastrophic fish stock depletion. Until now, there has been no clear protocol for monitoring fishing pressure. As a first step, work has been undertaken to standardise subsistence fisheries monitoring protocols, including monitoring of fish spawning aggregations, among the inner and outer islands, and to ensure that data are collected and analysed in a standardised way. This project was supported by the Global Environment Facility (GEF) funded project, ‘Expansion and strengthening of the protected Area Subsystem of the outer islands of Seychelles and its integration into broader land and seascape’. GEF enlisted the expertise of Dr. Jude Bijoux, assisted by the Saint Ange Report’s very own Environmental Consultant, Mr. Ameer Ebrahim. The team also comprised of Ms Aurelie Duhec and Mr Richard Jeanne from the Island Conservation Society (ICS). The expert team developed Monitoring protocols that will assist the Outer Islands to carefully survey fish catch, and to build capacity in monitoring subsistence fisheries and spawning aggregations. To test the protocols, a 3-day training workshop was led by the team, and included the participation of key Stakeholders. Participants were shown how to carry out scientific underwater surveys, how to detect and monitor key spawning aggregations, and also how to use computer software, such as ‘R’, to carry out statistical analyses on the data collected. With the help of key bodies like GEF, and local experts such as Dr. Jude Bijoux and Mr. Ameer Ebrahim, the commitment towards a more sustainable future here in Seychelles will be strengthened. Gerard Rose and his son Daniel have built a new cargo ship from start to finish. This is a success story said Hon Patrick Pillay, the Speaker of the National Assembly who was on Praslin to show his support to the Rose Family on the launch of their new ship. Also present were Praslin’s elected representatives for Baie Ste Anne and Grand Anse Districts, members of the Rose family and their many friends. MV Lespoir measures 33,5 meters long and has a capacity of 175 tonnes. It also has a 15 tonne capacity of cold store on board. This the first time a ship of this size has been built in Seychelles and the construction done by an entirely all-Seychellois Team. The Rose family are known and respected seamen of Baie Ste Anne Praslin and they are doing Seychelles proud. For many years they have been providing the needed cargo service between Mahe and the islands of Praslin and La Digue. It is expected that with the arrival of MV Lespoir the service they provide will now be even better. Alain St.Ange has been working in the tourism business since 2009. He was appointed as the Director of Marketing for Seychelles by President James Michel. After one year of service, he was promoted to the position of CEO of the Seychelles Tourism Board. In 2012 the Indian Ocean Vanilla Islands regional Organization was formed and St.Ange was appointed as the first president of the organization. In a 2012 cabinet re-shuffle, St.Ange was appointed as Minister of Tourism and Culture from which he resigned on 28 December 2016 in order to pursue a candidacy as Secretary General of the World Tourism Organisation. At the UNWTO General Assembly in Chengdu in China, a person who was being sought after for the “Speakers Circuit” for tourism and sustainable development was Alain St.Ange. St.Ange is the former Seychelles Minister of Tourism, Civil Aviation, Ports and Marine who left office in December last year to run for the position of Secretary General of the UNWTO. When his candidature or document of endorsement was withdrawn by his country just a day before the elections in Madrid, Alain St.Ange showed his greatness as a speaker when he addressed the UNWTO gathering with grace, passion, and style. His moving speech was recorded as the one on the best marking speeches at this UN international body. African countries often remember his Uganda address for the East Africa Tourism Platform when he was a guest of honour. As former Tourism Minister, St.Ange was a regular and popular speaker and was often seen addressing forums and conferences on behalf of his country. His ability to speak ‘off the cuff’ was always seen as a rare ability. He often said he speaks from the heart. Recently St.Ange is credited for a keynote address delivered by the organisers on his behalf at the “Tourism & Business Conference in Canada”. Alain St.Ange was in Chengdu China for the UNWTO General Assembly at that time. Alain St.Ange, the former Seychelles Minister of Tourism, Civil Aviation, Ports & Marine and First President of the Indian Ocean Vanilla Islands is today the President of the Seychelles Labor Union, Deputy Secretary General of FORSEAA (Forum of Small Medium Economic AFRICA ASEAN) based in Jakarta Indonesia, listed as a Consultant for TMN (Travel Marketing Network) in New York USA, Co-Chair of the SUNx (Strong Universal Network) Organisation in London UK, Vice President & Founding Member of ICTP (International Coalition of Tourism Partners), Consultant to PMAESA (Port Management Association of Eastern and Southern Africa) based in Mombassa Kenya, CIOA (Cruise Indian Ocean Association) based in Durban South Africa and for Cruise Africa. Roy Kinnear, the Chief Executive of the national airline of Seychelles has resigned and will be leaving his role on December 31, 2017. The Chairman of the Air Seychelles board Mr Jean Weeling-Lee confirmed on Tuesday that Mr Kinnear is leaving to pursue a further opportunity. Commenting on Mr Kinnear’s imminent departure, the Minister for Tourism, Civil Aviation, Ports and Marine, Ambassador Maurice Loustau-Lalanne said his decision has taken most people by surprise. Member states of the Common Market for Eastern and Southern Africa (COMESA) have been urged to expedite the completion of the current infrastructure projects to boost regional trade. The call was made during the 10th Joint Meeting of the Committees on Transport and Communications, Information Technology and Energy held in Lusaka Zambia last week. According to the COMESA secretariat officials, member states need to take decisions that will help accelerate the implementation of the bloc’s infrastructure projects. Rwanda High Commissioner to Zambia and permanent representative to COMESA, Monique Mukaruliza, said the idea is to support the completion of most pending infrastructure projects to spur the region’s development. Mathew Nkuwa, the Zambian Minister for Works, Transport and Supply, said there is need for policies, systems, institutions and resources to support infrastructure development and maintenance, adding that this move would reduce the infrastructure gap, support poverty reduction efforts, as well as “create wealth and enhance economic development in the COMESA region”. Nkuwa highlighted lack of financial and technical resources to the support infrastructure projects as one of the main causes of delays in the implementation process. “There is need to develop modern infrastructure that will make it easy for member states to trade amongst themselves,” he added. Meanwhile, the COMESA infrastructure ministers agreed on the need to fast-track the liberalisation of air space in the region to increase connectivity and boost trade. They say, air transport liberalisation will lead to increased air service levels and lower fares and, in turn, help stimulate additional traffic volumes and facilitate tourism and trade. Rwanda is currently leading the project to integrate and liberalise airspace in the COMESA bloc. The COMESA airspace integration project outcome is according to aviation experts expected to set the operational options for the provision of seamless airspace and air navigation services within the region. In 2015, the COMESA Secretariat secured approximately $10 million from the African Development Bank to implement the Airspace Integration Project. This is a grant to COMESA which is given as part of the bank’s mandate as an institution of the Africa Union to support infrastructure development and services across the continent. According to the COMESA Legal Notice No. 2 of 1999 agreement, member states are obliged to provide and grant traffic rights to designated operators and service frequencies between city pairs in the COMESA region. The African Civil Aviation Commission (AFCAC) is currently spearheading the creation of a single air transport market in Africa under which 15 African Union members committed to the establishment of a single African air transport market. It is therefore envisaged that within COMESA region itself, liberalising airspace could spur trade and lead to sustainable economic development. The ministers were however concerned that the agreement has not yet been fully implemented. According to COMESA officials, there is reluctance to fully implement the treaty because of continued use of bilateral air service agreements and member states that claim to have weak airlines. There is also lack of harmonised regulations to facilitate the implementation process and a follow up mechanism. Jean-Baptiste Mutabazi, the COMESA director of infrastructure and logistics, said COMESA airlines should form regional and international alliances to compete. The official added that member states should ensure minimum standards in terms of safety and security, as well as economic fitness requirements. Early this year, a study indicated that airspace liberalisation between five East African Community (EAC) member countries would result in an additional 46,320 jobs and $202.1 million (about Rwf165 billion) annually. African airlines reported a loss of about $800 million in 2016 largely due to regulation of African airspace. Meanwhile, the region will next year start implementing a seven-year programme which will culminate in the establishment of a seamless airspace based on harmonised civil aviation rules and procedures. This will result in improved safety, security, reduced operating and travel costs for airlines. Lekha Nair, the Chief Executive Officer of the Seychelles Pension Fund has done Seychelles proud as she participated at The Wharton Club of Africa summit 2017. Flying the Seychelles flag at the Conference was Lekha Nair and she addressed the innovations by Seychelles in guaranteeing every Seychellois a pension. The International news wires have since that summit been reporting on the Seychelles experience. The 4th annual WCA Executive Investment Summit 2017 (incl. 2nd WCA Africa Family Office Forum), is recorded to have been a memorable success, based on feedback. “Together each of you facilitated a truly unique, very real, high-energy, high impact, invaluable summit and engagement, from content to networking” the Organisers said about the delegates present who included Lekha Nair of the Seychelles. “The calibre of all delegates was “extraordinary” and we are so thankful for your generosity and willingness to move beyond basics to share extremely in-depth relevant perspectives for a highly sophisticated investor audience. Summit success is ultimately measured based on tangible results delivered, partnerships, and co-investments, which we hope will bear fruit for each delegate in the year ahead, as commenced at Summit” the Organisers of the WCA said. The James Michel Foundation has announced that Dr Sylvia Alice Earle is the newest honourary member of the Foundation. In reply to the invitation of the former President to join his Foundation, Dr Earle said that she would “be deeply pleased and honored to do so”. “I have great affection for your beautiful country, a love affair that began during my first scientific research expedition there aboard the R/V Anton Bruun as part of the 1964 International Indian Ocean Expedition and has amplified over the years. And I have immense admiration and respect for you, your accomplishments and your current goals for making a difference for your country and the world”, Dr Earle added. In thanking Dr Earle for accepting his invitation, former President said, “Your vast experience in scientific and ocean-related matters as well as your international renown will have a tremendous impact on the James Michel Foundation, as well as all of those of us who love and respect our oceans, and are committed to the Blue Economy”. 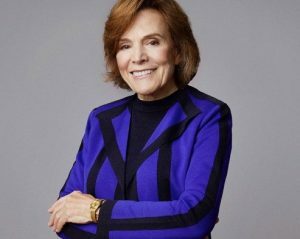 Dr Sylvia Earle (born August 30,1935) is an American marine biologist, explorer, author, and lecturer. She has been a National Geographic explorer-in-residence since 1998. Dr Earle was the first female chief scientist of the U.S. National Oceanic and Atmospheric Administration, and was named by Time Magazine as its first Hero for the Planet in 1998. In 1979, she made an open-ocean dive to the sea floor near Oahu setting a women’s depth record of 381 metres. In 1982 she and her husband founded Deep Ocean Engineering to design, operate, support and consult on piloted and robotic subsea systems. In 1985, the Deep Ocean Engineering team designed and built the Deep Rover research submarine, which operates down to 1,000 metres. In 1992, Earle founded Deep Ocean Exploration and Research to further advance marine engineering. From 1998 to 2002 Dr Earle led the Sustainable Seas Expeditions, a five-year program sponsored by the National Geographic Society. She founded Mission Blue (also known as the Sylvia Earle Alliance, Deep Search Foundation, and Deep Search), a non-profit foundation for protecting and exploring the Earth’s oceans, andto “ignite public support for a global network of marine protected areas, hope spots large enough to save and restore the ocean, the blue heart of the planet”. Dr Earle serves on several boards, and is the recipient of several US and international awards and recognitions.